MODULE​ FOUR short answer questions. - administration of prothrombin complex concentrate 25-50IU/kg OR FFP 20ml/kg. A 38 year old injecting drug user presents complaining of dyspnoea and lassitude. He also has right sided neck pain. 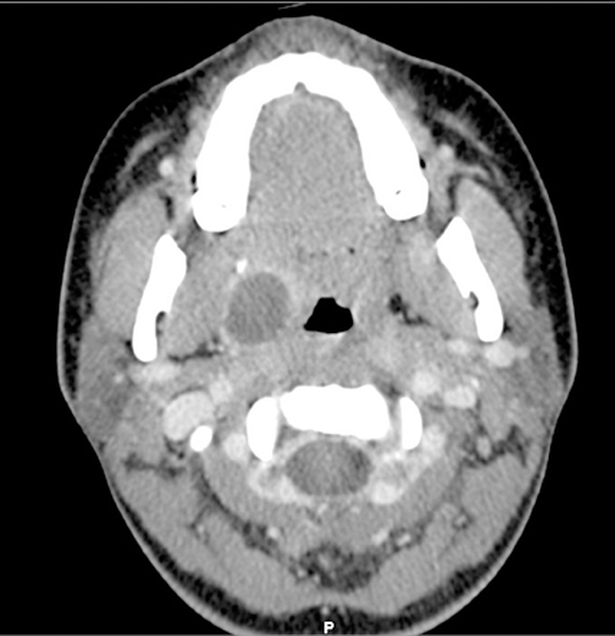 A 4 year old boy presents with his mother complaining of severe neck pain and an inability to turn the neck. His mother states he has been complaining of a sore throat for the past 3 days, but he has otherwise no medical history of note. On presentation he has visible drooling. 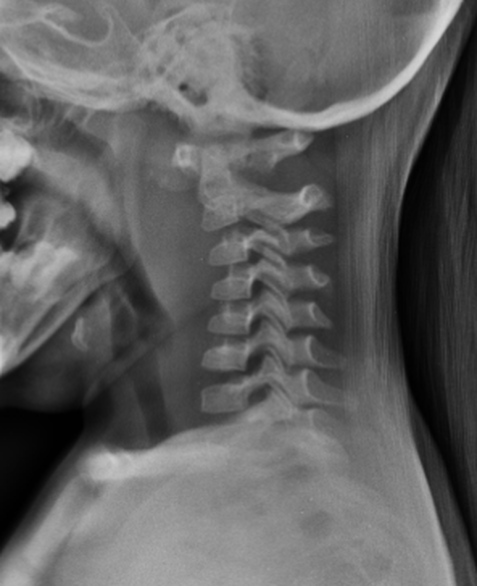 Your resident has ordered a plain film of the child’s neck which is shown below. - significant swelling of the prevertebral space/buccopharyngeal fascia anterior to C1-C4. - analgesia: IN fentanyl 1.5ug/kg or IV analgesia (note, no marks for analgesia as stated patient is unable to swallow). A 19 year old female presents with a painful throat. She states she is unable to swallow food and water, and is feeling quite unwell. She also complains of difficulty in opening her mouth. After analgesia you are able to examine the patient’s throat. A clinical image of the patient is shown below. Question 2. Give 5 management steps you will institute. 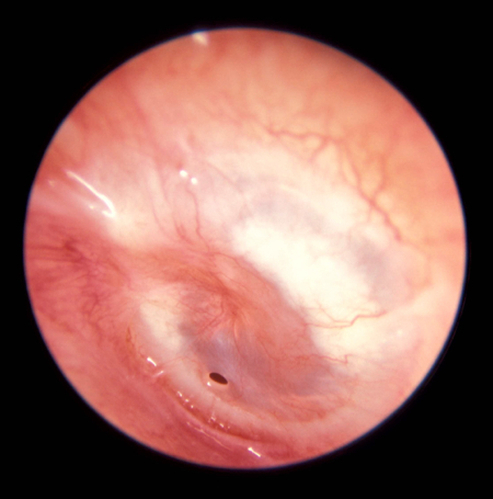 A 27 year old patient presents with a painful left ear. He has no medical history of note. He describes waking up to find green pus staining his pillow. 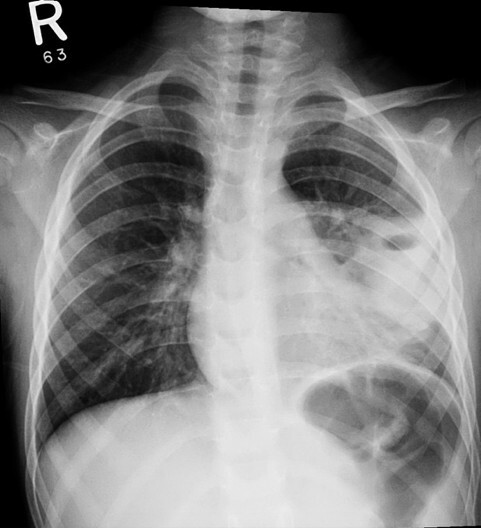 A clinical image of the patient’s examination findings is shown below. Question 3. The patient returns to ED a week later, having not been compliant with the therapy you prescribed above. He is complaining of severe ear pain that extends behind his ear.